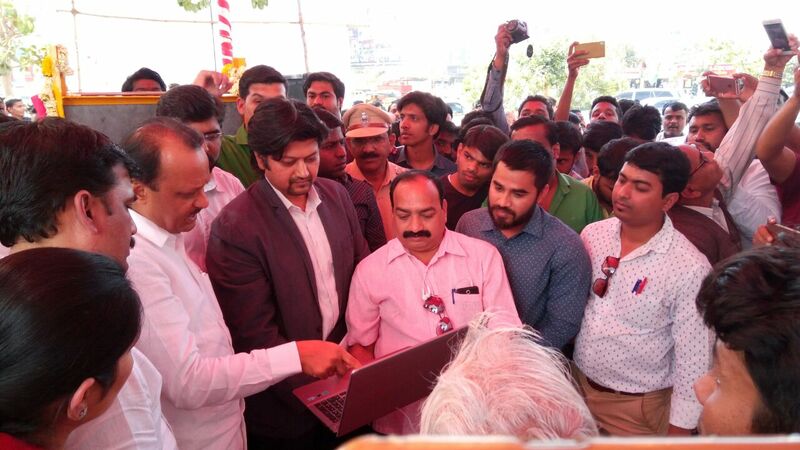 Linear Urban Garden Ground Breaking Ceremony at Pimpri Chinchwad Municipal Corporation | Green Space Alliance | Urban designers | Planners | Landscape Architects. Ground breaking ceremony for High Capacity Mass Transit Rout (HCMTR) 3km long linear garden has been done by Former Deputy Chief Minister and Nationalist Congress Party (NCP) leader Mr. Ajit Pawar on 21 Dec 2016. GSA Principal, Dheeraj Patil introduced the project details and design features during this ceremony to guests and local community members. Linear Park extends from Kokane Chowk To Nashik Phata in Pimple Saudagar measuring upto 3 km stretch along BRT track which is designed to be urban green corridor for public as a leisure and recreational park. The park will have jogging track, cycle track, gateway plazas for social / cultural festivals and gazebos with thematic garden, landscape plantation facilitates ecological habitat restoration in urban environment, and lighting design specifically addresses safety and security issues. GSA in collaboration with INGRAIN architects is working with PCMC officials & Contractor to complete the park in next 8 month with allocated budget of 11cr rupees.